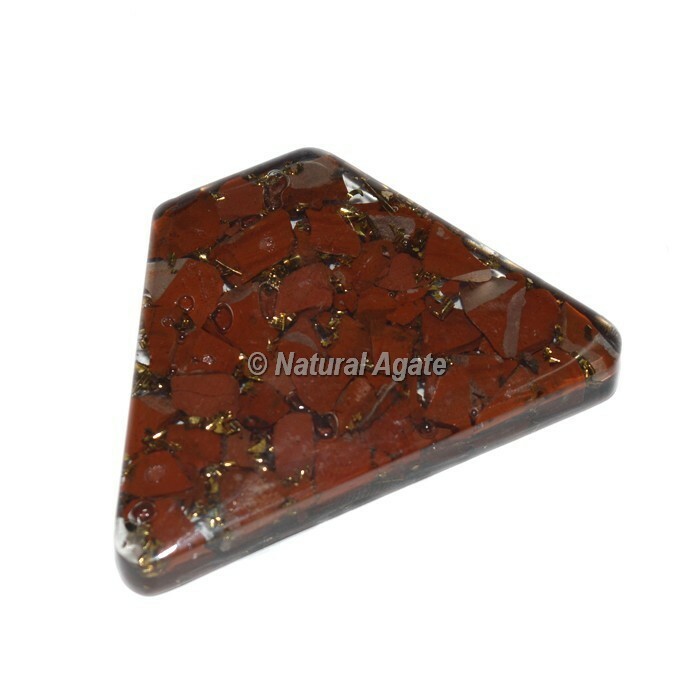 Glossy orgone Trapezoid shaped cabochon made highly polished Red Jasper gemstone.Red Jasper is a stone of vibrancy, endurance, justice, protection, and life. Red Jasper is a gentle.It is a stone that brings strength and energy, stamina, focus and determination as well as calming the emotions and creating stability. Red Jasper is a great stone for setting goals and following through to completion.